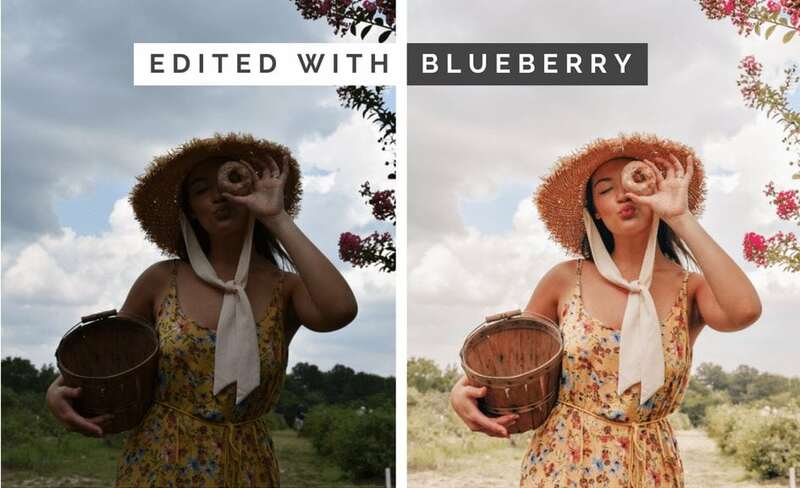 If you’ve ever come across an Instagram feed that has a uniform hue, tint, or “feel”, you’re probably looking at the handiwork of Adobe Lightroom. Made by the same group that created Photoshop, Lightroom is a desktop and mobile app designed to perfect the lighting of your photos. And to most photographers, Lightroom is photo magic. While there’s a lot of work behind the magic, Lightroom enables you to apply and adjust different light settings to take your photos to the next level of professionalism. I highly recommend it if you’re serious about photography. You can learn more about Lightroom and other Adobe products here. Lightroom Presets are settings that are applied to each slider option within Adobe Lightroom. For example, each color is pre-set to a specific hue or saturation in each preset. When you apply it to a photo, that photo’s colors will adjust according to the preset values. Though it sounds complicated, it’s actually quite simple and will make much more sense once you start using presets yourself. Why do people use presets? People use presets for many different reasons. Instagrammers like presets because they can give their feeds a uniform aesthetic. But they aren’t just for Instagram. Photographers of all sorts use presets to bring out different colors, lighting effects, etc. They are an excellent tool for any photographer. What’s the difference between mobile presets and desktop presets? The difference has more to do with the mobile and desktop versions of Adobe Lightroom. The mobile version of Lightroom is free and has fewer options and features. Mobile Lightroom might be a good option for you if you want to familiarize yourself with Lightroom before purchasing the desktop version. Lightroom for desktop requires a monthly subscription and is for those who are more serious about photography and want more options and features. How do I install the presets once I’ve purchased them? Installation instructions are down below! Click here to go straight to them! Will my photos look just like yours? No! And they shouldn’t 🙂 Every photo is different and so much depends on the type of camera you are using, the time of day you take the photo, the subject of the photo, etc. I hope you use my presets as a launching pad to build your own presets and ultimately your own style and aesthetic in your photography. This is how I built my presets. Also, I attribute much of my photo aesthetic to my wonderful camera, the Nikon D750. I highly recommend it. Do all presets work for all photos? Definitely not. In fact, you will likely have to tweak the preset for every photo because every photo is so unique. But experimenting with the presets and trying to get that perfect hue is half the fun! Are your presets guaranteed to work for my photos? No I don’t think anyone can give that guarantee 🙂 Every photo is unique and as I mentioned above, you will need to experiment to get the perfect Lightroom settings for your photos. Who were your presets inspired by? I’ve really been inspired by Lisa Homsy (@lisahomsy) and Aggie from @travelinhershoes. After endlessly tweaking my own presets and testing them on photos from all different cameras, settings, subjects, etc, I finally feel like I have settled on my own style. If I don’t like the presets, can I get my money back? Unfortunately, no. Due to the nature of the presets, you can’t return them, so all sales are final. But if you have any issues with them, let me know and I’ll try my best to help you troubleshoot. Take me to the Presets! You’ll get a .zip file containing all 8 presets to your email (you’ll also be able to view them here after purchasing). Download it onto your desktop and unzip the file. Drag the presets into your Adobe Lightroom Classic CC Desktop Program. Alternatively, you can import them using these steps: Open Lightroom > Edit (for Windows; the Lightroom Dialogue box on a Mac) > Preferences > Presets > Click “Show Lightroom Presets Folder” > Open “Lightroom” folder > Open “Develop Presets” folder > Copy my presets into this folder.